152K miles, with known ownership history since 1995 (all in Seattle area). A solid car that provides tons of enjoyment, great color combo, and presents as a very honest car with matching numbers. 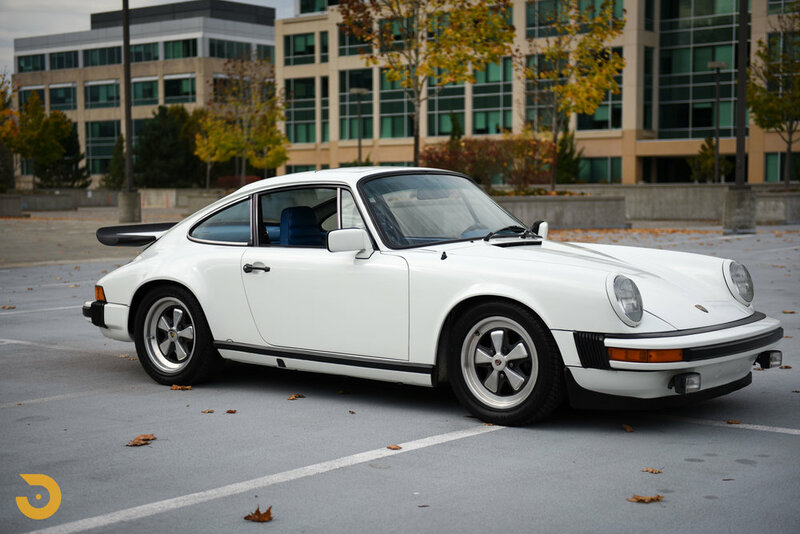 Also included in the sale is the Porsche Certificate of Authenticity (COA). 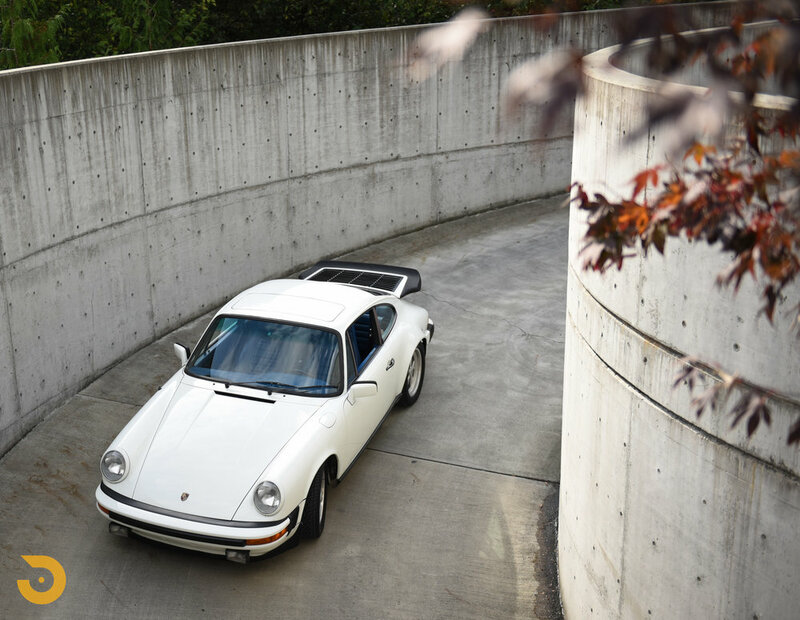 H-4 Headlights, late Carrera tail (factory part, bolted to original decklid). 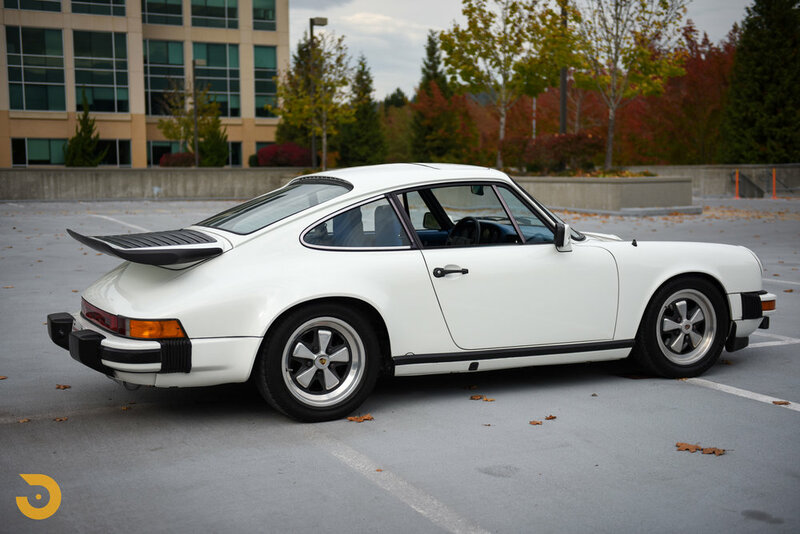 Repainted in Grand Prix White (original color per COA). Paint is nice overall, a solid 7.5 out of 10. Some chips on front and rear bumpers with hand touch-up by previous owner. One dent/ding in passenger front fender, near antenna. See pictures of these items below. Strong 3.0L engine, original to the car. 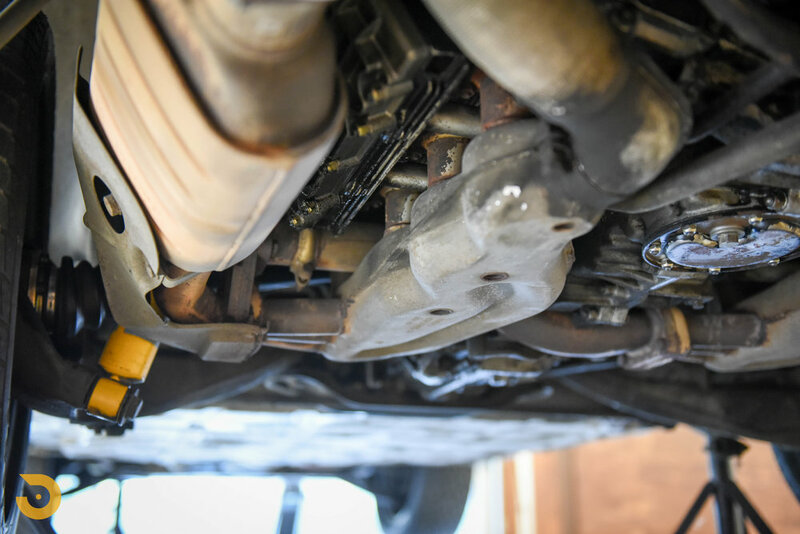 Some seepage visible underneath, however car can sit for a month and does not leak a drop onto the ground. Car will smoke a small amount after sitting for a month on start-up, but does not smoke with regular/daily usage. Runs very well with strong power, and sounds great with exhaust set-up. Factory muffler is included with the sale as well. Factory spark plug wires, and air pump also included with the sale. 16” Fuchs (6” and 7”), 205/55-16 and 225/50-16 tires, Bilstein shocks all around. Brakes work great, and car is both compliant and sporty at current suspension set-up. 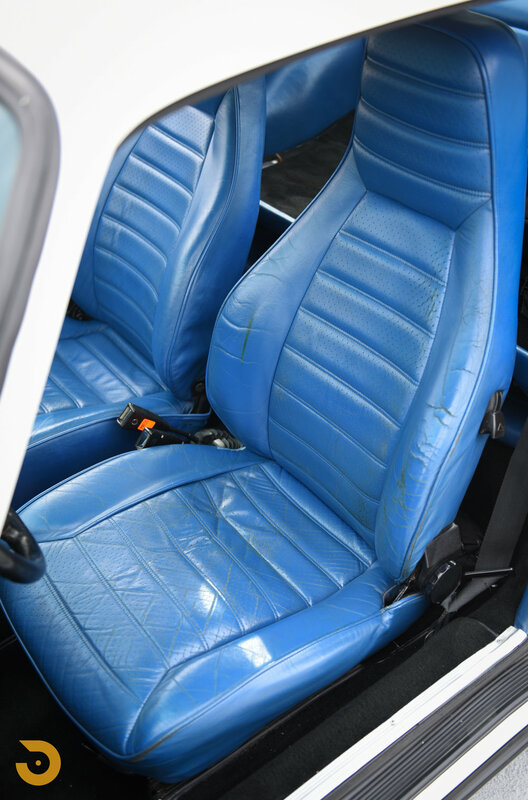 Blue leather interior. Newer carpets, original headliner, sunroof, Alpine aftermarket radio, Alpine amp in front trunk area. Comes with space saver spare as seen in pictures.